Listeners familiar with the BBC’s response to complaints concerning a reporter who, back in January, displayed precisely such “inability or unwillingness […] to distinguish between the religion of Judaism and the politics of the state of Israel” might have found Crawley’s detached description jarring. It is of course also quite extraordinary for the UK’s public broadcaster – but nevertheless, precisely such imagery was promoted in a BBC television programme on November 8th last year and the BBC failed to respond appropriately. Moreover, promotion of the ‘Jewish lobby’ trope and claims of Jewish and/or Israeli control of the United States have been documented on numerous occasions on these pages – see for example here, here, here, here and here. 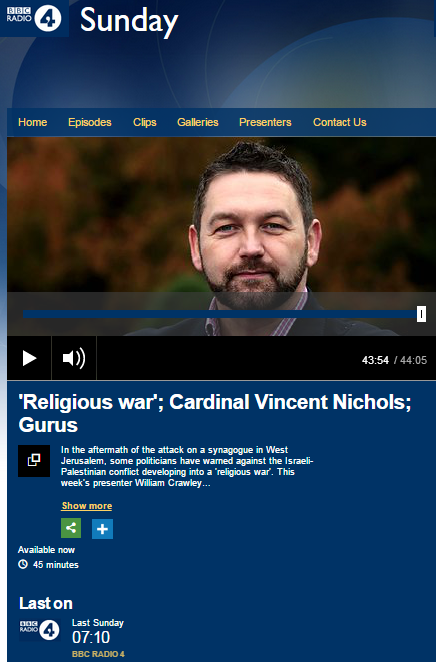 Until the BBC begins to ‘walk the walk’ by seriously and frankly addressing its own issues concerning the mainstreaming of antisemitic discourse in its content and on its discussion boards, items such as this one can obviously only be viewed as cynical and opportunistic lip service to a very serious topic. 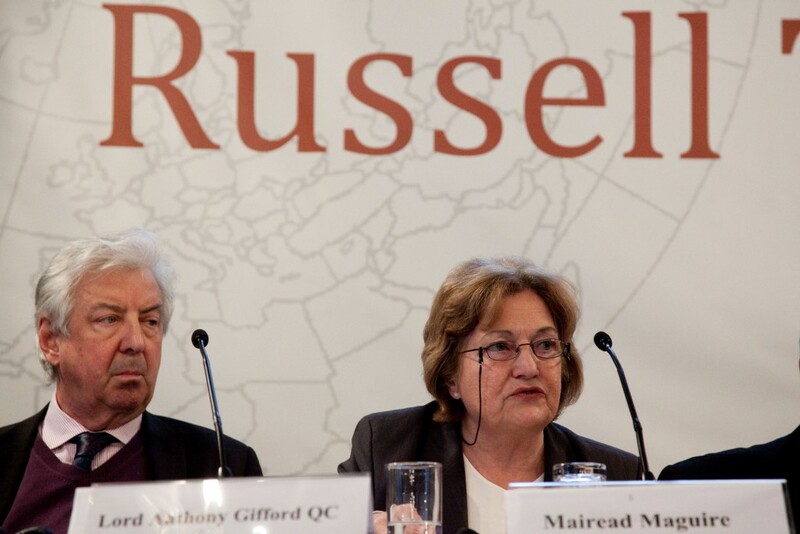 Last week we wrote about the BBC Radio Ulster ‘Sunday Sequence’ programme of May 19th 2013 in which Mairead Maguire was given free rein to promote Assad regime propaganda and antisemitic tropes. 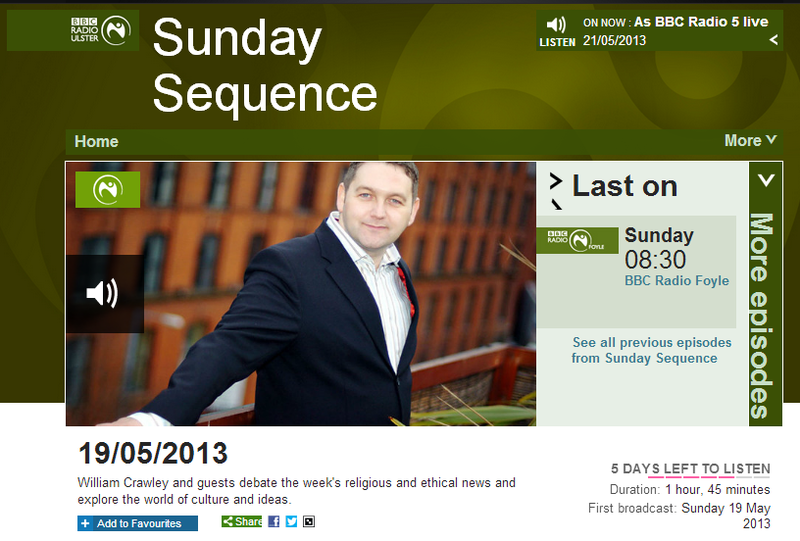 At least one member of the public who wrote to presenter William Crawley following that broadcast was told by him that ‘balance’ to that particular interview would come in the form of another one with Professor Richard Landes a week later on May 26th and in his introduction to that interview, Crawley makes the same claim. 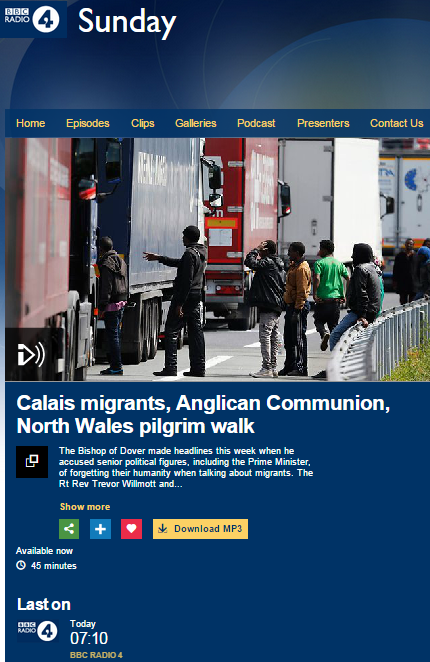 The interview with Professor Landes can be heard here for a limited period of time and it is also worth listening to the interview immediately following it with Dr Simon Waldman of King’s College London. 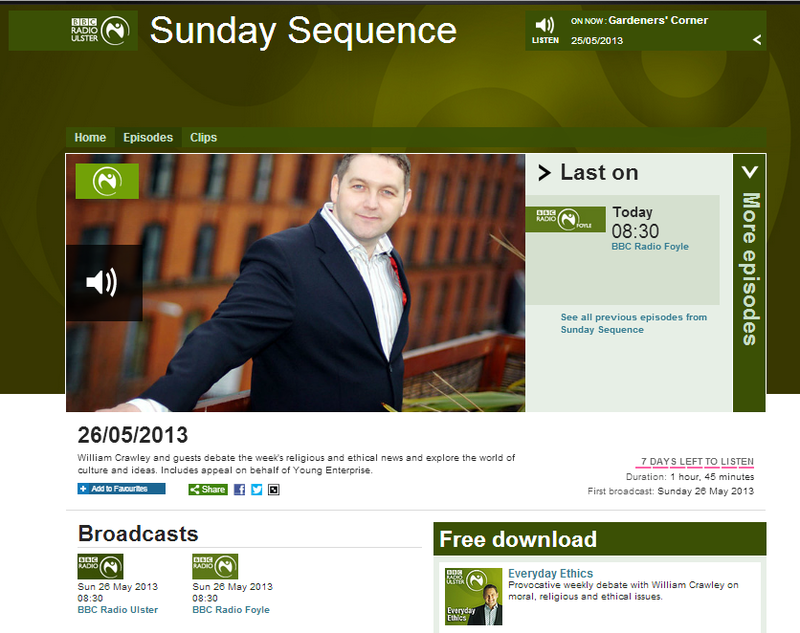 However, as interesting as these two interviews are – and even presuming that those listeners who heard Mairead Maguire bothered to tune in again a whole week later to hear “the other side” – they do absolutely nothing to counter the torrent of misinformation and hate speech which Maguire was allowed to promote from a BBC platform.